Floating houses are symbols of tranquil and peaceful lifestyle on the water. 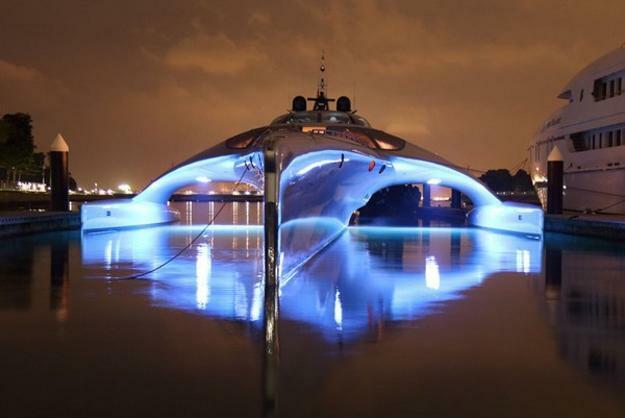 Superyachts, the play-toy of the mega rich, are the ultimate symbol of material success. Over the years every aspect of the superyacht and floating houses has vastly improved inviting to enjoy comfortable and pleasant life enriched by the connection to the nature. 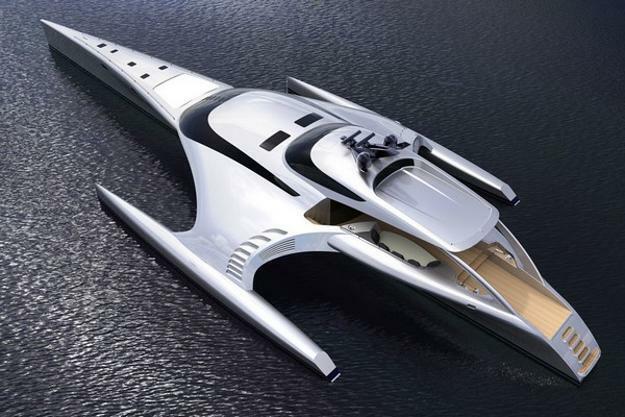 The superyacht Adastra is a new floating home built in Hong Kong. The symbol of wealth, success and luxury, the 42 m or 138 ft superyacht and the luxury marina lifestyle are available just for a few people in the world. Controlled by iPad and iPhone, life support systems and all your tasks are managed with the contemporary technology. 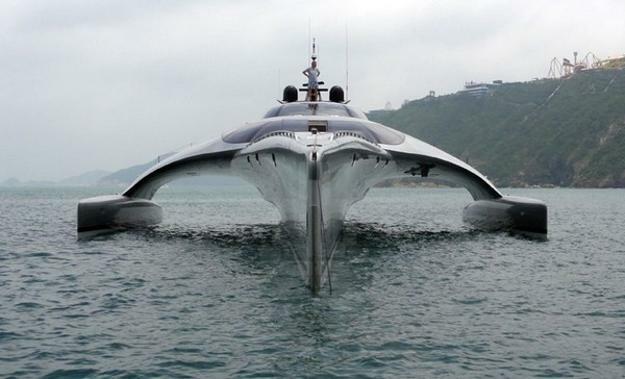 Adastra is a huge trimaran created by designer John Shuttleworth built for Anto and Helen Marden. 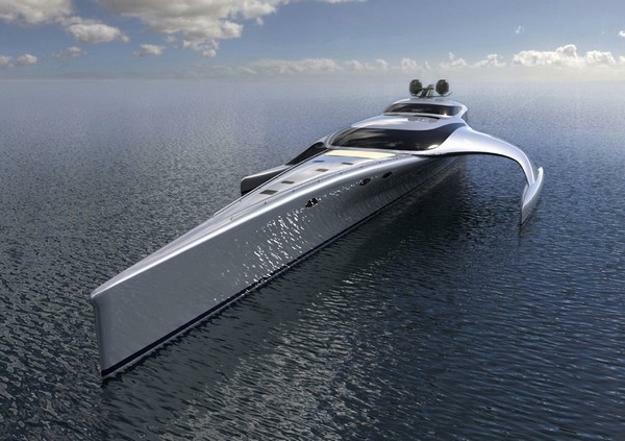 The length is 42 meters, the width is 16m, and the weight is limited to 52 tons, which creates an elegant contemporary yacht. The maximum speed is 22,5 knots (about 42 km per hour), and the fuel in the tanks allows to cover 4,000 miles (6,500 kilometers), enough to crass the Atlantic ocean. Wireless Wi-Fi network gives access to the control panel for the ship owner and the captain of the ship anywhere on the yacht. Adastra comfortably accommodates 6 people. Luxurious and modern interior design and decor add chic and style to the floating home. A few bedrooms and bathrooms, a kitchen and entertainment zones are situated on two decks and provide spectacular views of the surroundings. 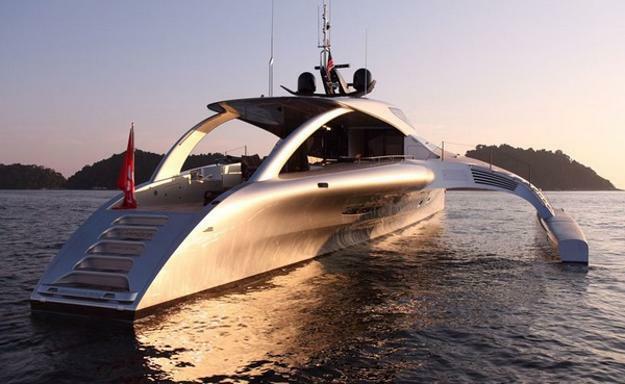 For those who can not afford luxurious yachts, contemporary floating houses are a great alternative to enjoy the water. There are many professionals, artists and other floating home enthusiasts who have accepted some of the few compromises of houseboats and a different lifestyle in a floating home in order to enjoy the tranquil life style, proximity to nature. For those wanting to be close to nature the floating homes is a nice alternative living style, which is not too cheap. Being close to nature comes with some inconvenience in terms of schlepping groceries and garbage along the piers, but clearly the many long-term residents are willing to pay the price which also includes, as well as land taxes, fairly substantial dock fees up to about $1200 a month.